Recently, Skift, a well-known online travel company in the United States of America revealed their top 20 airlines that successfully integrated colors into their overall branding and marketing. The research was conducted base on attractive aircraft-wrap designs and how it stands out from the rest. 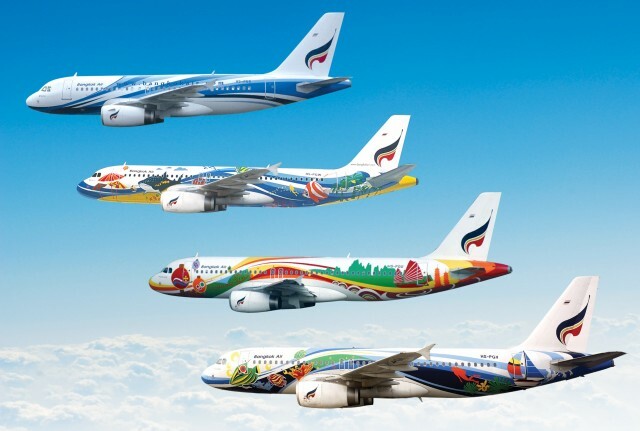 The list was carefully crafted and chosen using various criteria and methods to ensure that all 20 airlines including Bangkok Airways are well deserved this privileged recognition. Bangkok Airways currently flies to over 20 destinations around Thailand and overseas using A320, A319 and ATR 72. Skift is a travel intelligence media company that offers news, information, data and services to professionals in the travel industry and professional travelers to help them make smart decisions about travel.